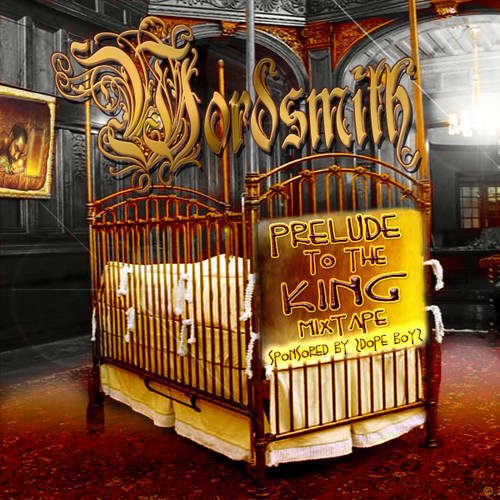 Practically a regular here on Frostclick, Wordsmith returns with a brand new Mixtape, Prelude To The King. True to form, the album is a great display of smooth beats, catchy rhythm, as well as awesome mic skills from Word and crew. There’s really no need to argue whether this mixtape is worth your time. Pretty much anything Wordsmith has released has always held the bar high enough to warrant a listen and eventually a download. Prelude To The King is no different of course, marching in with 15 tracks that bob and sway with beats worthy of welcoming any hip hop royalty. As expected the rapper/producer doesn’t hold back when it comes to bringing in the cavalry to complete his mix. Featuring contributions from talented producers like Strada and Rafpak as well as other artists like Soulstice, CuzOh!Black, and Steven Drakes to name a few. The album starts off with a short introductory track titled The Ghost of Wordsmith’s Past which is than cleverly followed by The Ghost of Wordsmith’s Present and The Ghost of Wordsmith’s Future, turning everything you hear into one coherent experience. Moving along, like much of Word’s songs, Define Me Classic, does not stop at catchy beats but also display narrative lyrics that share the rapper’s definition of his sound. Certain tracks see the rapper in his comfort zone, take, 8 Track Zoom, for instance. Produced by Strada, the song has a smooth feel which is peppered by skillful rapping from the MC. The song denounces using gadgets/software like ProTools, to enhance sound. Meanwhile, A Hero’s Welcome, is quite heartfelt while Southern Symphony, features a more smooth dance, R&B flavor. Much of the album is composed of easy-listening hip hop cuts; making it another worthwhile download from Wordsmith. Go ahead and grab it while it’s hot. It shouldn’t disappoint. Prelude to the King Mixtape by Wordsmith is licensed under a Creative Commons Attribution-ShareAlike 3.0 Unported License.